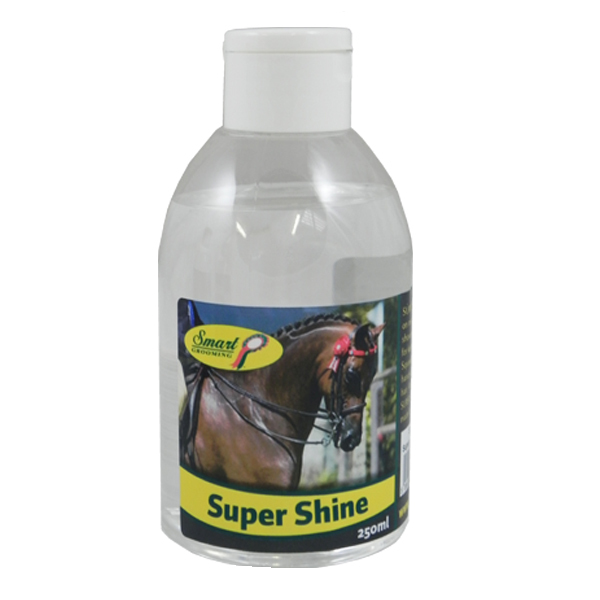 Super Shine from Smart Grooming is a high quality lotion which provides a show ring finish and amazing shine, but is equally good for keeping tails and manes in top condition every day. This concentrated lotion only requires a small amount which you work through the mane and tail hair. It is made using a non-stick formula which doesn't attract hair or dust. There are currently no questions for Smart Grooming Super Shine for Horses - be the first to ask one!